Although I haven't shared many diy or craft projects on my blog I do love doing them and hope to feature them from now on. I have had an interest in all different types of sewing and crafting from a very early age. My parents have their own sewing business, my Dad has been a sewing machine mechanic all his working life and my Mum has always had a sewing job, with lots of different companies and her own. I actually sew golf flags in my 'spare' time to make extra money to enable us to go on holiday each year. Its nothing exciting or challenging but it pays. 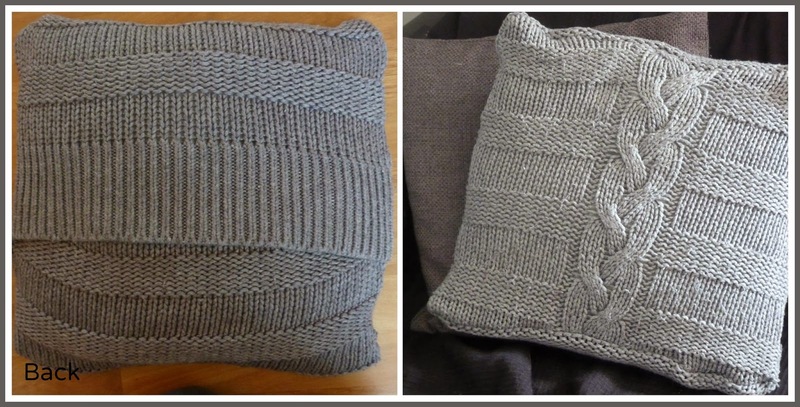 Today I'm going to show you how to make a cushion cover from an old jumper. Cushions really are the easiest thing to make and are great for beginners plus the are an instant way to spruce up your decor. Take one old unloved jumper and a cushion. 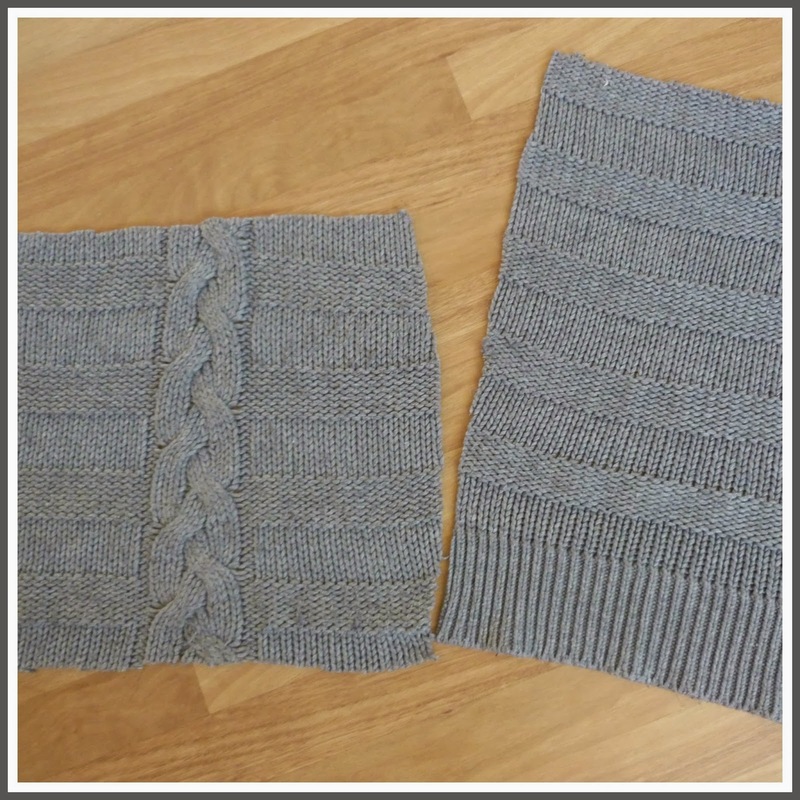 Chunky cable knit really do work well, if you haven't got one I'm sure you can pick a cheap one up from ebay. Cut the back piece in half. Then layer the pieces as you are going to sew them. The front piece needs to be facing up. The next piece is your hem piece, make sure the hem is not on the edge (like mine, I did notice before I sewed together!) and line up the other side face down. Place the other piece face down on top of that one. Pin together if you wish, I didn't with this as I found it stayed together quite well. 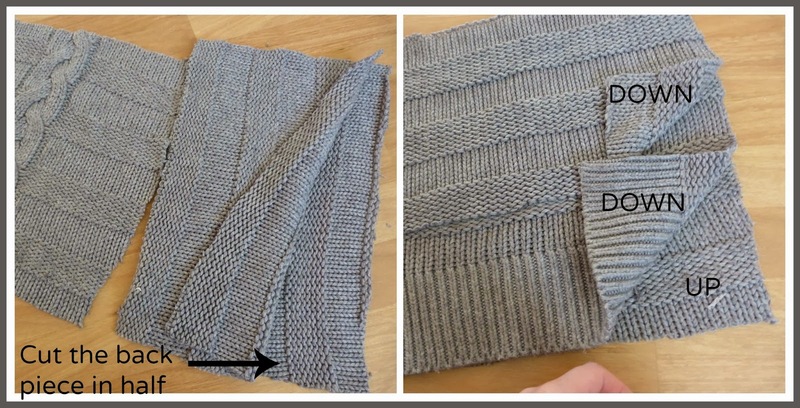 Sew all the edges together, if you fabric is as thick as mine you may need to give it a little pull through the machine. 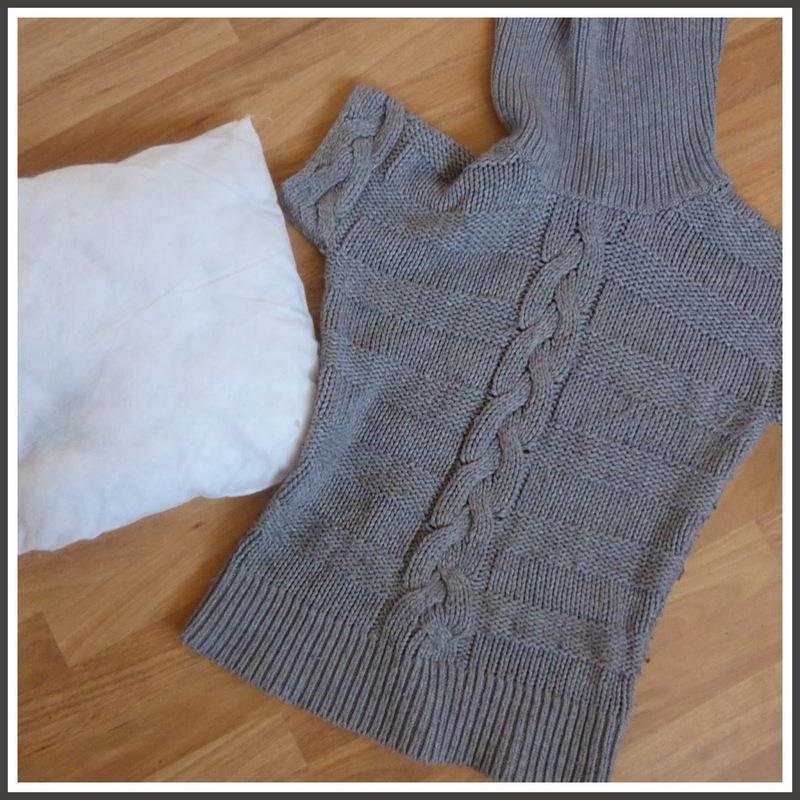 Congratulations you have just upcycled a jumper and made something fabulous. You should go for it, its such a good feeling when you complete it! Thanks you should try it! What a fantastic idea and it looks great, will be giving it a go.